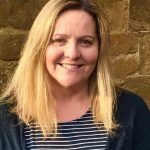 Michelle Smith is a consultant specialising in CSR and community investment strategy, programme development and delivery advisory since founding her business in 2014. She works extensively across private and voluntary sectors helping organisations to engage stakeholder, build strategies and develop programmes and partnerships. Michelle previously led community development at Barclays and at the Co-op. She has worked closely with government departments and with practitioners in the charity, voluntary and private sectors. I’ve been a Trustee of the Northamptonshire Relate since March 2017 and before returning to the county in September 2016 had, for several years, been a Trustee of Relate North Hampshire. 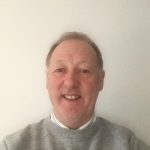 I have over 20 years experience in senior UK and international corporate human relation roles and a further 10 years as an independent consultant, working with a broad range of both public and private organisations. Working with my fellow Trustees I look to apply my professional experience to ensure the Charity is well governed and managed; and has a sound strategy in place to enable the Charity to continue to provide outstanding support to the Northants community in delivering the Relate services. 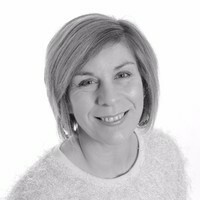 As a senior sales and marketing professional for over 25 years, Rachel is currently MD of Rationel Windows & Doors. Having previously worked in creative agencies Rachel brings to Relate a focus on promoting the work we do in the County. A keen community member Rachel is a member of the PTA at a local primary school and plays netball across the County mentoring junior players. Rachel became a Trustee at the end of 2018.